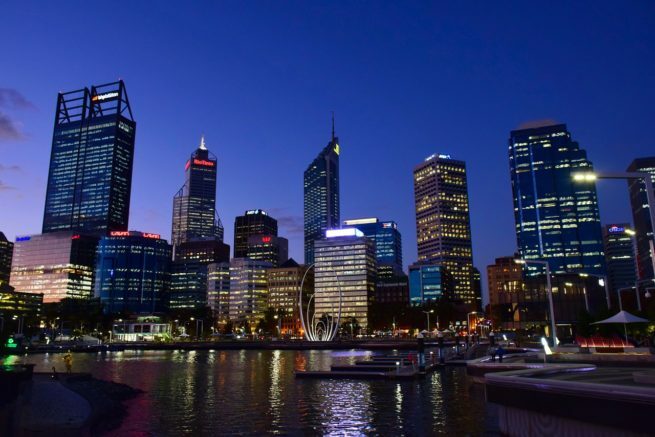 Charter a private plane to Perth, the capital city of Western Australia. The city is located where the Swan River meets the southwest coast, and it features suburbs lined by sandy beaches, and Mt. Eliza offers incredible views across the city. Whether you’re traveling there for business or leisure, the best way in and out of Perth, Australia is via luxury jet charter. It’s more comfortable, efficient, and convenient than flying commercially, and Australia Jet Charter does the best job in the industry. Our Perth Jet Charter brokers are available at all times to assist you, regardless of your time zone. We operate under the most stringent safety and service standards in the jet charter industry, and our jet charter booking services are transparent and hassle-free. Just about anything can be arranged if you ask, so request a quote now or give us a call to book your luxury private flight to Perth. Whatever your reason for visiting, it won’t be too hard to find a hotel that works for you. If you’re still deciding, scroll down and check out some of our suggestions. The list is based on past client feedback, so it’s a great place to start your hotel search. Read on to check out our list of the best places to stay after a private jet charter flight to Perth. If you’re not sure what to do while in the area, you can check out our list of attractions below. It’s based on client feedback, so it’s a great place to start your search. Read on to check out our list of the best attractions for after a private flight to Perth. Request a Quote or give us a call at 1-888-987-5387 to speak with one of our Perth Private Jet Charter agents for your next luxury vacation, business trip, or special event.